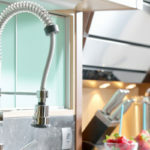 Do You Need To Hire An Architect For Your Kitchen Remodel? Kitchen Cabinets and Granite Countertops, Pompano Beach FL > Blog > Blog > Do You Need To Hire An Architect For Your Kitchen Remodel? 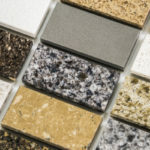 The need for an architect depends on the scope of your kitchen remodel and the intended outcome. Smaller projects, such as adding a window or tearing down a non-bearing wall, generally don’t require the need for an architect or designer. 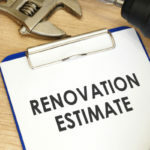 The homeowner and remodeling contractor can typically handle these projects with great success. On the other hand, hiring an architect can be very valuable if you are planning a larger or more complicated remodel. Architects carry a strong background in design theory, project management and engineering. Architects can simply draw up the plans or they can oversee the entire project, including soliciting bids, choosing contractors and so forth. While contractors offer similar services they cannot guarantee the most aesthetically pleasing or innovative solutions like an architect can. As a general rule of thumb, architects are recommended if the cost of your project totals 5% or more of your total house value. In most cases, you hire an architect before you hire the contractor. You will meet with the architect to go over all of your needs and create a complete plan of action. These plans may change after the bidding process begins, in which case the architect is tasked with redrawing blueprints to fit with updated specifications. If you see the initials AIA after an architect’s name it means he or she is a member of the American Institute of Architects. Architect licensing is separate and controlled through your particular state. What does it cost to hire an architect? The average cost to hire an architect ranges between $50 and $150 per hour, accounting for around 5% to 20% of total project costs. Some architects offer their services for a flat fee as opposed to hourly. Rates are often negotiable, if you ask. Hiring an architect is not cheap but it does take a lot of the work off of your to-do list. In fact, if you hire an architect to oversee your entire project you are tasked with little else than writing checks. This is a nice luxury for those with the budget for it, but it’s not necessary to hire an architect to manage and oversee your entire project. As long as you are willing and have the time to oversee the project yourself, you may simply hire the architect to draw up and approve plans. There is also the option to hire a general contractor to oversee progress, as they are generally more cost effective than architects. What are the benefits of hiring an architect? An architect is skilled at solving complex issues and providing innovative solutions. Complicated projects greatly benefit from the knowledge and insight of an architect. If you are making significant alterations to the interior or exterior of a building, an architect ensures the project specifications are safe and up to code. If you want to go green with your renovations an architect is the ideal candidate to help you accomplish that. More architects are becoming invested in environmentally sensitive practices that’ll benefit the environment as well as the long term cost effectiveness of your kitchen. Architects can handle paperwork and complicated building codes that might otherwise throw your project through time consuming and costly hoops. A solid architecture knows how to get around building codes in the most cost effective and savvy ways possible. Designers do not have the same academic background as architects, and are not experienced with engineering. Instead, they are skilled at creating functional and beautiful spaces. In some cases, you only need a designer but in other cases you may need a designer and an architect. Designers tend to charge less per hour than architects, but they do not usually offer project management. Designers create drawings based upon your wants, space and budget. In some cases an architect is hired to look over these drawings to ensure floors won’t sag, sealing beams won’t be unstable and so forth. If your budget allows, an architect and designer can be used in conjunction for one superpower team. 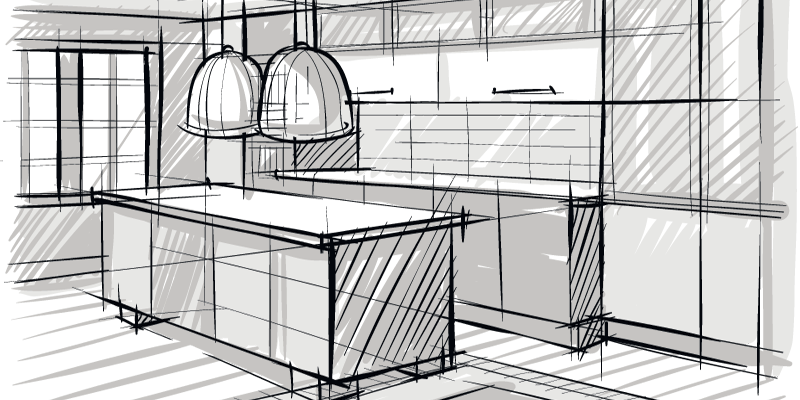 For kitchen remodels, you may want to look into Certified Kitchen Designers (CKD). Hire an architect that is new to the industry and charges lower fees due to less experience. Limit your use of an architect to the blueprints and overall design phase. You could always hire them to come back from time to time to conduct site inspections. These visits are usually conducted after the framing is installed and during the punch-up. 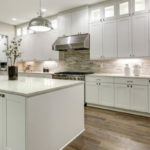 Buy high quality wholesale kitchen cabinets and granite countertops from Tops Kitchen Cabinet and save thousands on your remodel. As a result of these savings you’ll have more money left over to hire experts like architects and designers.